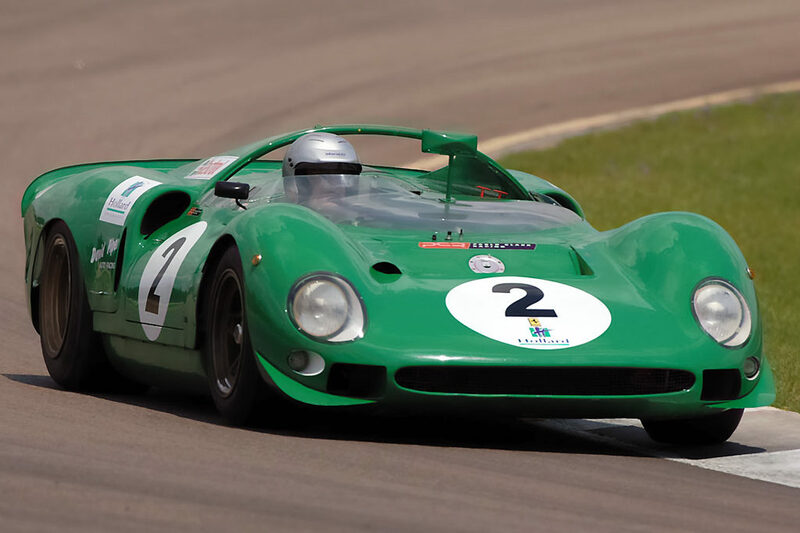 David Piper first came to South Africa in 1962, bringing with him a bright green Ferrari GTO to enter in the fifth annual 9-Hour endurance race; he didn’t have a trailer, so he drove it on the road from Cape Town to Johannesburg. His racing tyres didn’t arrive in time, so he used road tyres provided by local Ferrari enthusiasts Gigi Lupini and Basil Read. And after all that he and his South African co-driver, BRM test driver Bruce Johnston, won the 9-Hour at his very first attempt; he went on to win the 9-Hour another four times in his Ferraris and once, in 1969, in a Porsche 917. He also won the three-hour Cape South-Easter at Killarney in 1966, finished second in 1967 and third (due to tyre problems) in 1968. His huge success focused international attention on the Springbok Series of endurance races, run during the northern hemisphere’s winter, bringing world names such as Jackie Ickx (who to this day recalls the smell of sizzling meat on a hundred grids as he raced towards the aptly-named Barbecue Bend at Kyalami), Mike Hailwood and Paul Hawkins to race against local heroes Peter de Klerk, John Love, Jackie Pretorius, Tony Maggs and Dave Charlton. Then it all came to a sudden end with a near-fatal crash while filming the Steve McQueen epic “Le Mans” at the Sarthe circuit in 1970, which cost Piper his lower right leg and his professional racing career. However, when he discovered a decade later that the magnificent big-engined endurance racers of his heyday – the Lolas, Ferraris, Porsches and Ford GT40s – were now worthless dinosaurs, he and former single-seater racer Mike Knight formed the International Sports Racing Club for Pre 1970 Sports Cars. That was the beginning of serious historic racing worldwide, and in 1988 Piper and Knight returned to South Africa with 22 of these iconic cars, to race at Killarney, East London and a special street race in Durban. They were back two years later for races at the new Kyalami and at Killarney, and each year since 2002 for the Passion for Speed historic series at Zwartkops and Killarney. Passion for Speed historic racing has created a whole new motorsport industry as talented South African engineers recreate hard-to-find parts for cars more than half a century old – and in some cases, replicas of entire cars so exact that they are exported worldwide and allowed to race in historic series as ‘tribute’ cars. None of which would have happened if Piper had not been invited to take over Ken Gregory’s entry in the 1962 9-Hour after the latter had sold his Ferrari GTO at the end of the European sports-car season – and the ground-shaking V8s of the big-engined sports racers that ruled the world before turbochargers and the 1973 fuel crisis changed motorsport forever would now be museum pieces, silently gathering dust.